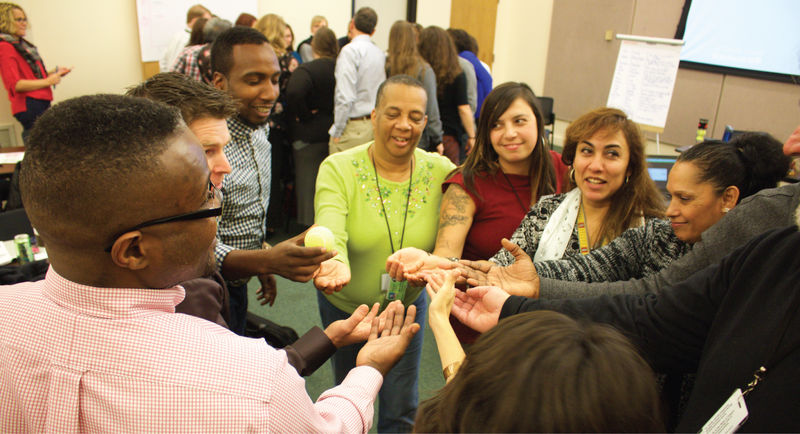 In 2010, community leaders entrusted All Hands Raised with the responsibility to build a better system of collaboration for Multnomah County’s children and youth from cradle to career, rooted in collective impact and in partnership with the national StriveTogether network. Much has changed since we began this work, and what remains true is our focus on aligning the community’s collective effort to make positive change for kids. A lot of organizations work with our schools and families to reinforce measurable results, continuous improvement and shared accountability. It is through this coordinated and aligned action, in partnership with our schools, that we will make lasting change. As adults, it is our responsibility to change our own behavior in order to improve outcomes for our kids. And, things are always changing. That is why we continue to focus on bringing about greater alignment within our school community sites by providing consistent facilitation, use of data and shared accountability to accelerate and sustain progress.